If only Zika was a two-week stint like the Olympics. Sadly, after Olympians go home and the buzz in the Olympic village dissipates, mosquitos carrying the Zika virus will remain, and those living in their midst have no choice but to stay. As athletes descended on the Olympics armed with nets and repellent, pregnant women living in a Zika stronghold face an epidemic they have no choice but to be exposed to. For Rio, the lead up to the Olympics were far from easy. Preparations were deemed the "worst ever" by the International Olympic Committee. To make matters worse, Brazil is in the midst of a Zika outbreak, which no doubt puts a damper on the Olympic spirit for both contenders and tourists. Many athletes were faced with the difficult decision to go for gold against the risk of contracting the mosquito-borne virus that has taken hold of 60 countries in the past year. For women of child-bearing age, that risk is heightened by the virus' link to the birth defect, microcephaly, a neurological condition in which a baby's head is significantly smaller than others their age. Facing Zika was a choice for athletes and tourists, but not for those living in Brazil. While contenders like American cyclist Tejay van Garderen chose to opt out of the Olympics, others chose to attend but were vocal about their concerns. Four-time Olympic gold medalist Serena Williams said she "wasn't taking Zika lightly," while Team South Korea announced that they would wear "Zika-proof" uniforms that are treated with repellent. 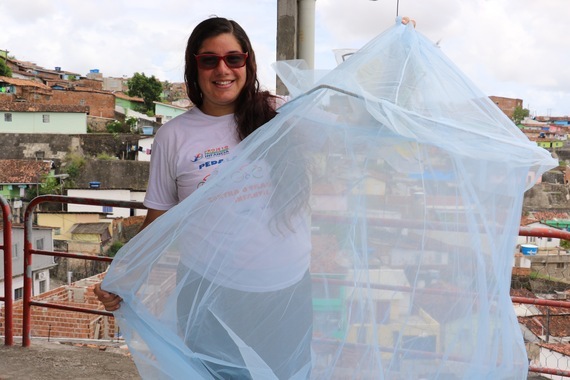 Afforded the world's best solutions, participants posted pictures of their nets, screens and masks on Twitter under hashtags like #fightzika and #zikaproof as they arrived in Brazil. Facing Zika was a choice for athletes and tourists, but not for those living in Brazil. If only Zika was a two-week stint like the Olympics. Sadly, after Olympians go home and the buzz in the Olympic village dissipates, mosquitos carrying the Zika virus will remain, and those living in their midst have no choice but to stay. Raana first learned about Zika when she was two months pregnant. And unlike those of us who have supportive health-care systems, Raana had to wait until her second trimester before she was eligible for an ultrasound that would determine her baby's health. You can only begin to imagine what those first few months of pregnancy felt like. "The period between my second and fourth months of pregnancy was very scary," she recalls. 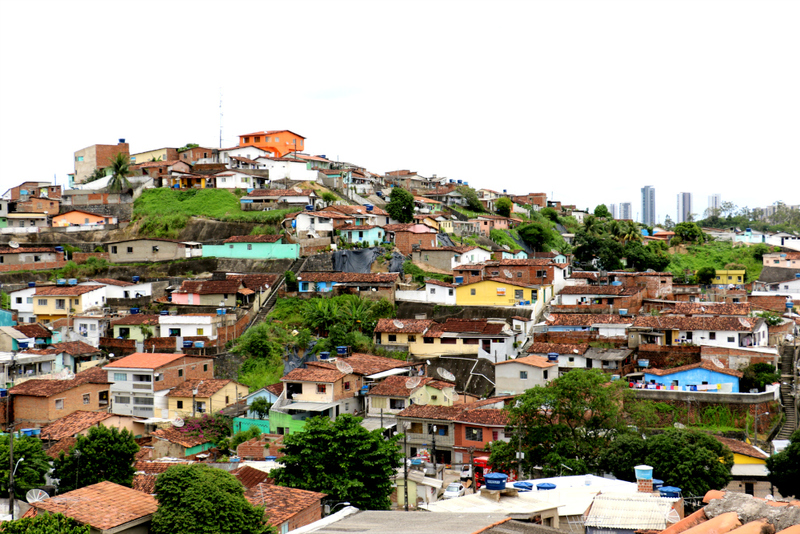 As someone who lives and works on the outskirts of Recife, Brazil's second largest city, Raana's odds weren't looking good. It is in Recife where the highest number of Zika cases have been recorded and where the suspected link between Zika and neurological disorders was first discovered. In Raana's neighbourhood indoor plumbing is rare and many people are forced to store water for washing and bathing in large barrels. For mosquitoes, the stagnant water coupled with warm weather present the ideal breeding ground. This is why experts believe the Zika outbreak has been concentrated in poor neighbourhoods without running water. For Raana, facing Zika is not a two-week battle but a permanent lifestyle shift to ensure the health of her baby and her community. At the nearby health clinic, Zika isn't the only mosquito-borne virus health-care workers see every day. Raana's neighbours have contracted Dengue and Chikungunya, too. The clinic's doctor, Márcia Loureiro, says that there has been a 100 per cent increase in all three diseases since last year, but that the real challenge is telling them apart. Without rapid testing at the local health centres, doctors can only make educated guesses based on the symptoms. After going through what must have felt like personal purgatory, Raana was relieved when she was finally able to have her ultrasound. "I couldn't imagine what we would have done as a family if our baby was born with microcephaly," she says, recalling the experience. "I don't know where we would have found the strength, either emotionally or economically." The news that Zika had not affected her baby was a relief, but Raana had to be careful -- she still had five months to go. Protecting her unborn baby was one part of the battle, but Raana was compelled to do more. Armed with a mosquito net and special repellent she received from World Vision, Raana decided to educate her community and raise awareness about the danger that mosquitoes pose. As a social educator with World Vision, Raana encourages her neighbourhood to cover their water containers and ensure that garbage piles are cleared away despite the lack of regular municipal collection -- discarded plastic bottles are ideal breeding grounds for mosquitos. 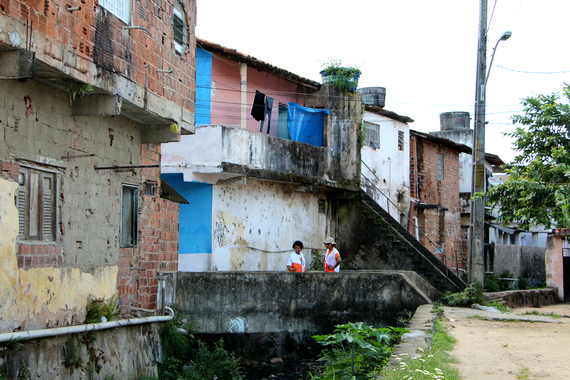 Raana's story is only one example of what millions in Brazil are facing all the time, which is why World Vision's programs enable communities to develop a self-sustaining approach to fighting the outbreak. Through text messaging World Vision gives prevention guidance which has benefited almost 50,000 people already. 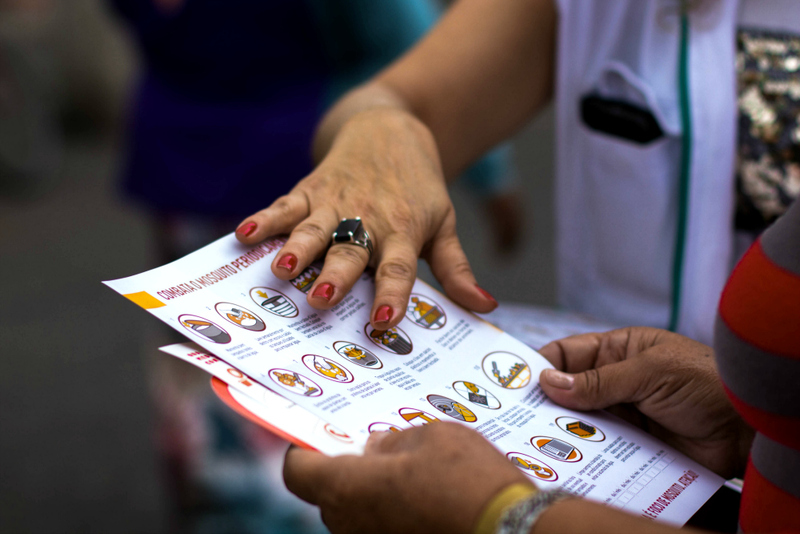 Overall, more than 100,000 women the most Zika-affected areas were reached. Six thousand repellent flasks were distributed to children, teenagers and pregnant women, and 1,500 mosquito nets to future mothers like Raana. With Brazilian authorities estimating 1.5 million Zika cases in the country, fighting the virus can seem overwhelming, which is why World Vision believes that education needs to be on the front lines. If people receive mosquito nets but don't understand the importance of using them, they not only risk their own health, but also that of the communities by not sharing their knowledge. For Raana, facing Zika is not a two-week battle but a permanent lifestyle shift to ensure the health of her baby and her community. While #fightzika might garner awareness in Canada, actually fighting Zika involves long-term programming that educates communities to protect themselves against mosquitos. As Zika drops off the headlines with the end of the Olympics, the silent struggle against this outbreak continues. And the power to put an end to the virus doesn't necessarily start in Rio, but with people like Raana. Help World Vision equip communities to fight Zika, and other crisis situations, by donating to emergency response efforts.